Passover is almost synonymous with spring, and in Indian Jewish cooking all herbs, vegetables and fruits used for the holiday must be fresh and not dried. Foods that are naturally green in color are especially popular as they represent the freshness of the spring season (and the overall spirit of “renewal”). During this time, fresh turmeric root (resembling ginger root) replaces the ground kind, and young, unripe green mangoes (which have a pale yellow/white flesh and are a bit sour and crunchy in texture) are plentiful and used in salads, sauces, and chutneys. 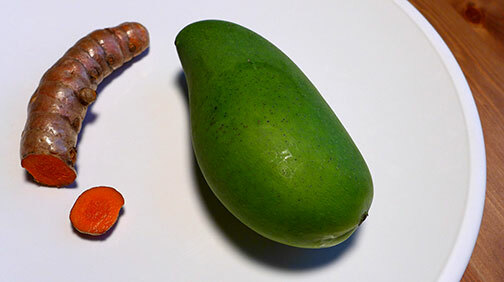 Fresh turmeric root (left), green mango (right). 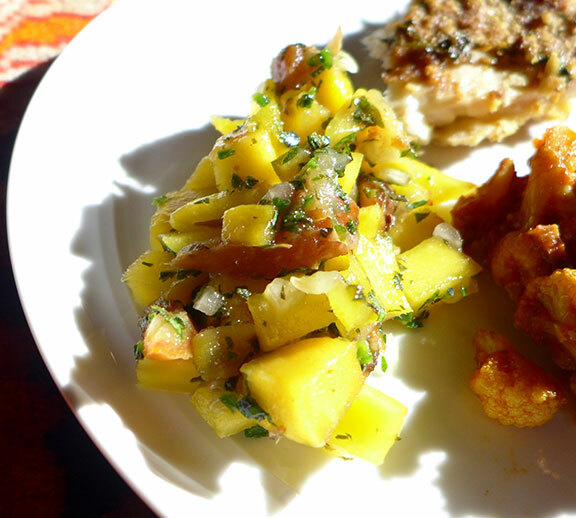 Unfortunately it was not easy to find an actual Indian green mango, so instead I used the hardest most unripe one I could find and created a salad adding fresh coriander, mint leaves, and green chili peppers for flavor as well as color. The combination of ingredients was based upon what Sharona Galsurkar described to me — a young woman whom I was most lucky to meet and interview for my cookbook while she was visiting New York City from her native Mumbai. 1/3 cup coarsely chopped fresh mint leaves. 1. Combine all ingredients in a medium mixing bowl and let marinate at room temperature for 1 hour. 2. Serve at room temperature in a decorative bowl or small platter. Store in air-tight container in refrigerator for up to 2 days. 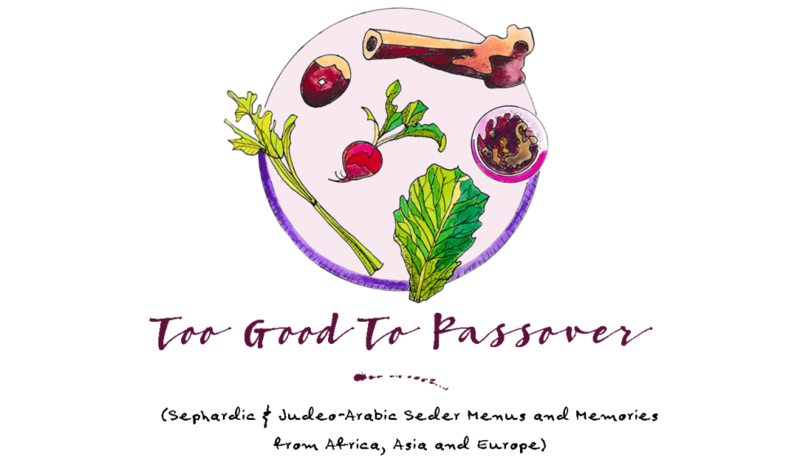 ← Cleansing your sins for Passover? It’s time to start preparing.